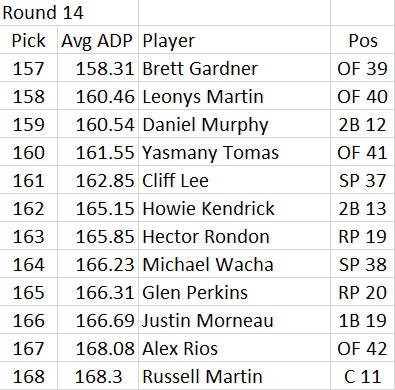 While the information available is fascinating, the list that Greg Amrosius kindly posted outlines the top 200 in the money drafts that have already happened. When money is on the line, there will be tougher decisions and the players ranks could provide some early clarity. 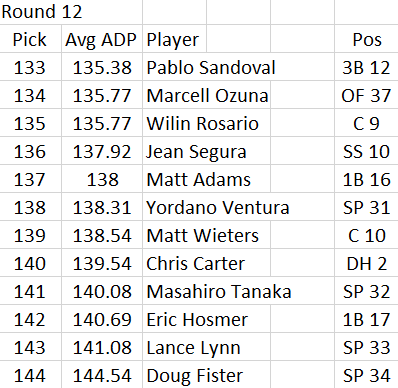 Processing the top 200 was not easy as I was busy working on spreadsheets, but I modified the 200 players into a more common 12 team format (the NFBC is 15 team league drafts) for the article’s purposes. 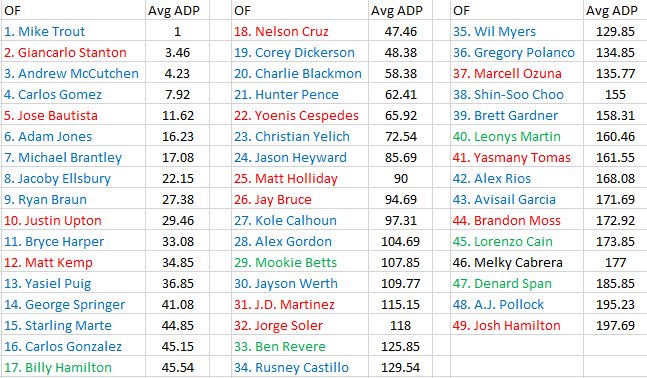 These are rough estimates and I will follow up tomorrow with the players ranked by position to see what trends show there as well. 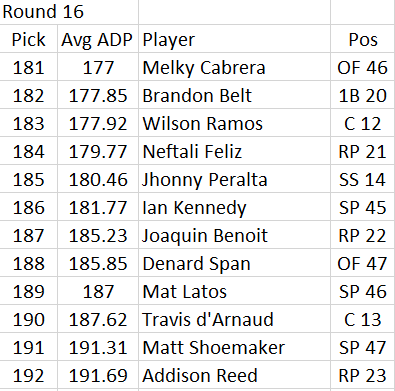 As for today, I listed the rank of the player, what his average pick selection is and his rank by position in the charts below. 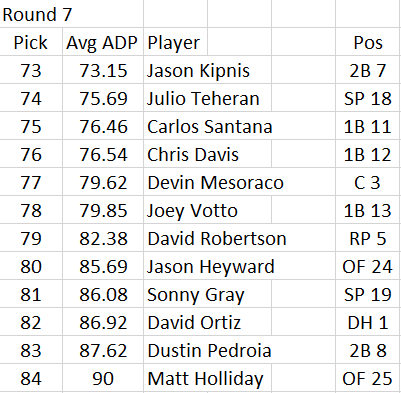 After each round or two, I will give my two cents worth on the first top 200 from drafts I have seen this year. If you think you are seeing pitchers early and often, you are correct. Enjoy! 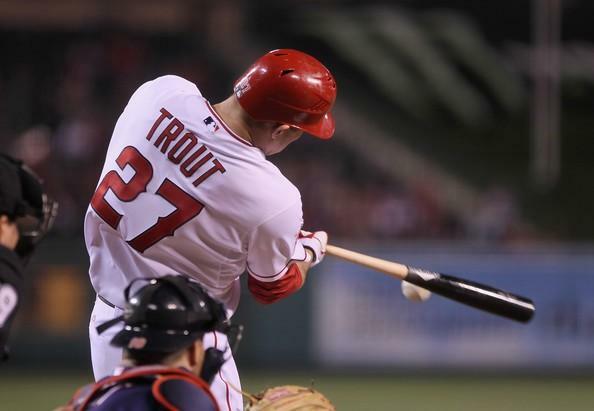 That Mike Trout guy is still number one, and he will not be fat this year. He could be a bit weak against pitches up in the zone but he is the only player in the top 12 to go number one in every single draft. I have never been a proponent of taking a pitcher in the first round, but if there is one I would consider it is Clayton Kershaw. Even in an injury riddled season he still produced the goods. 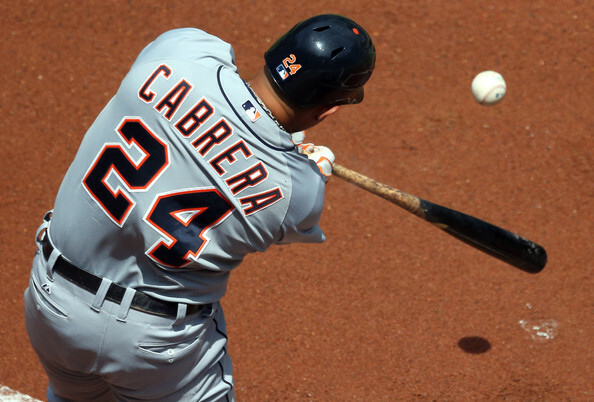 There is growing concern around Miguel Cabrera’s ankle and foot surgery but if the Tigers know that they are all in with their window of opportunity closing, he will play through it like he did last September. 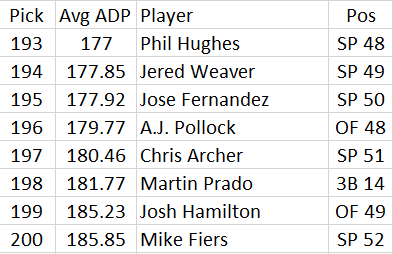 There are some newcomers in this list with Jose Abreu, Carlos Gomez, Felix Hernandez and Jose Altuve moving into the top 12, but I would only take one at the price listed above; Abreu. Toronto owns the tail end of the first round with Jose Bautista and Edwin Encarnacion providing plenty of punch in a lineup that welcomes Josh Donaldson to the fold. 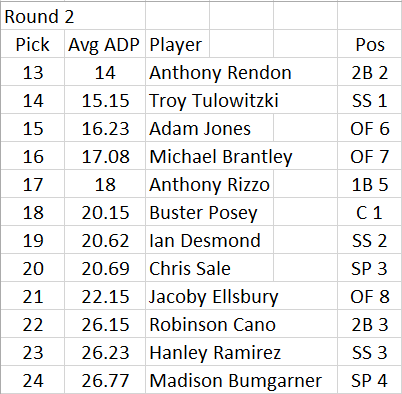 There are surprises above with Anthony Rendon and Michael Brantley making huge jumps in early drafts. I was a big proponent of Rendon last year but this may be too rich for my blood. Troy Tulowitzki and a replacement player still make up probably the best shortstop tandem in roto but he comes with risk. At a time where power is in high demand in drafts I will find it difficult to take a player like Adam Jones here but it depends on what is available. Robinson Cano was overpriced in Seattle last year but as the third second baseman, I really love him at 22. While Madison Bumgarner almost single-handedly defeated the Royals, there is a lot of mileage on his arm from last fall, which could cause for some to reach on him. I am waiting. Like Cano, I think the depressed price on Ryan Braun makes him a buy this year. Motivated to prove his detractors wrong and possibly healthy I would rather have a third round Braun over a second round Adam Jones. 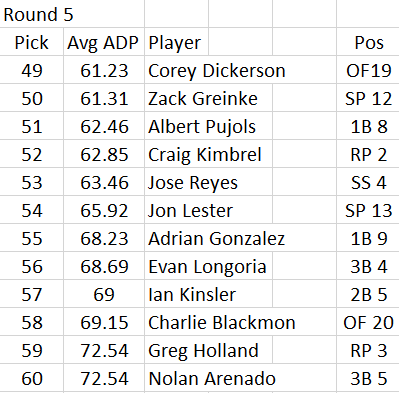 Pitchers, pitchers everywhere, with four more coming off the board in this round. It is hard to gauge Max Scherzer since some of his value will be determined by where he signs. After A.J. 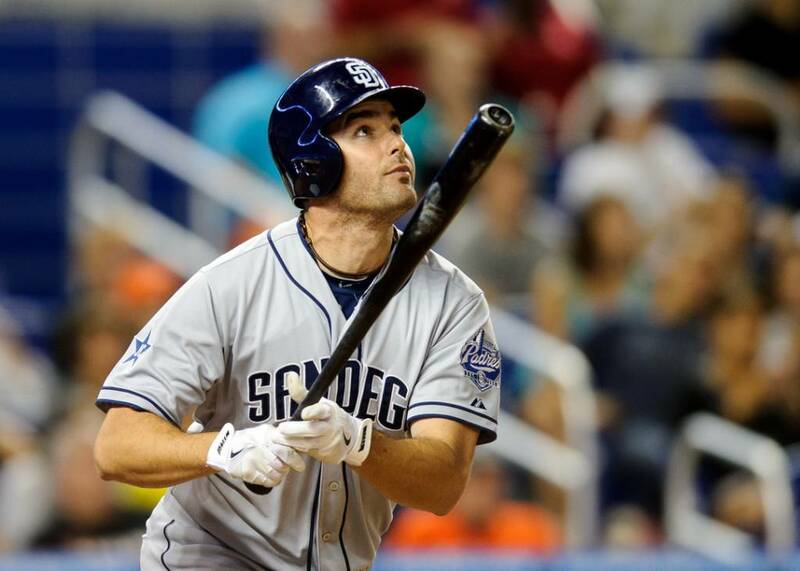 Preller’s wheeling and dealing, there are two Padres in this round with Kemp and Upton. I am not scared by either in Petco this year. Bryce Harper will be a polarizing figure, he is 22 and while he has burned us in the past, this is a good price for him. 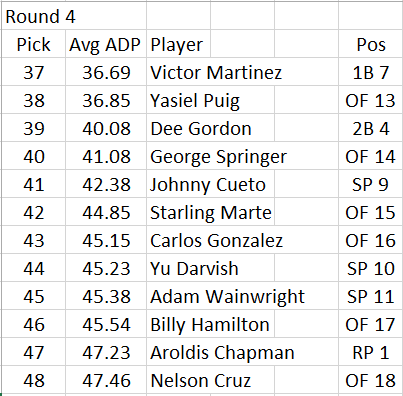 Projections are all over the place on George Springer but in the fourth round in the mock 200, he could provide first round value. His batting average is not going to be great, but for a player with 30/30 potential, this is a great flier at pick 41.08 overall. Speed is flying off the board here (no pun intended), but Dee Gordon and Billy Hamilton may be fighting for the National League stolen base title this year. Carlos Gonzalez, man is he tempting here, but he is made of glass. I go with Springer and take the hit in average for his possible breakout instead of reading that CarGo is out with a tweak or bad finger on a monthly basis. It is an interesting decision, you can take Cueto, Darvish or Wainwright here to anchor your staff, who is it? Two more Rockies outfielders come off the board in Corey Dickerson and Charlie Blackmon. I lean Dickerson here. Last year Albert Pujols was going to fall off but here he is still and somehow I think Miguel Cabrera will do the same this year. Jon Lester had a great 2014 and moving to the NL could help his peripherals, but can he win 15+ with the Cubs this year? In all honesty, the Rockie I am eying the most here is Arenado, I could justify grabbing him ahead of Longoria but there is safety in numbers. Two more closers go off the board here but I am waiting for strikeout upside later, I like Kimbrel and Holland but grab power early and often, pitchers can be had later as you will see. Four more starting pitchers are taken in this round and Matt Harvey is among them. I am tempted to grab him but it is a risk to have him as a number one coming off of Tommy John Surgery and knowing the Mets will protect his innings, but he has had 18 months to rehab and is ready to go. Jeff Samardzija could be a sneaky play in Chicago but I am avoiding Prince Fielder and Yoenis Cespedes. Cole Hamels is nice in this round but really needs a change in scenery to make him a bargain in the sixth. A mini first baseman run happens here following Prince last round with Carlos Santana, Chris Davis and Joey Votto. Gun to my head I will go with Carlos Santana of these three. Crazy? Probably but I am willing to take chances from round seven on. Two Cardinal outfielders are here but if you want safe it is Holliday, upside and playing for a contract, Jason Heyward. I really like him in St. Louis this year. 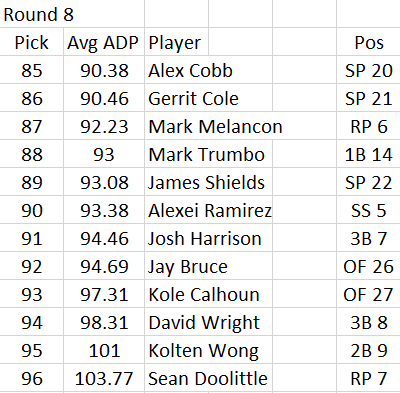 Alex Cobb is a pitcher I like at this point of the draft, especially over James Shields. Josh Harrison had a great year but gambling on a repeat here may be tough to swallow. Wong represents upside and two more closers are off the board. What are fantasy owners going to do with David Wright? I think he is a great value here. While he will not return to his glory days, he has a better track record than Josh Harrison. Speaking of risk, the ninth round brings just that. Kris Bryant has power that is in demand not only in baseball but for fantasy players as well. Javier Baez has all-world power and could swipe 13-15 bags as well, albeit with a .220 average. If Tyson Ross and Jake Arrieta can stay healthy they are good values here, especially Arrieta for me. 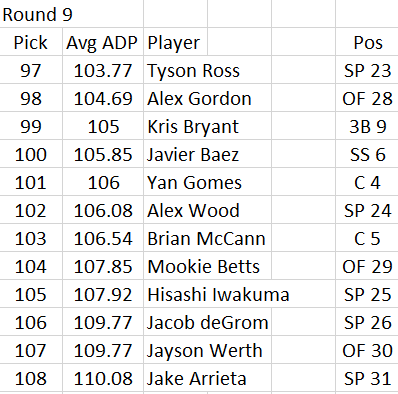 As a matter of fact, the pitchers in this round are really good targets including Alex Wood, Hisashi Iwakuma and Jacob deGrom. Doubling up early on two aces just doesn’t make sense to me. If the ninth was risky, so is the tenth. 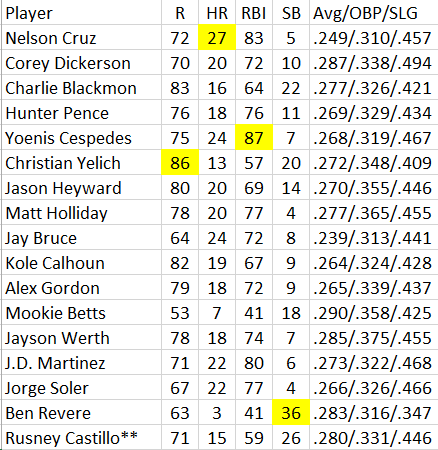 Power hitting outfielders who may only hit .250-.260 like J.D. Martinez and Jorge Soler are here, but I prefer them to reaching for Yoenis Cespedes four rounds earlier. Gio Gonzalez was really good in the second half, I mean really good. Speaking of power, if Evan Gattis gets to play left field with catcher eligibility, he can hit 30 home runs. Three more closers go in this round so even though I probably have not taken one yet, the time is nearing. I have seen articles ranking Carlos Carrasco high for this year. But so far in money drafts he is the 30th pitcher selected. Even if he flames out at this price it is easily worth the risk. 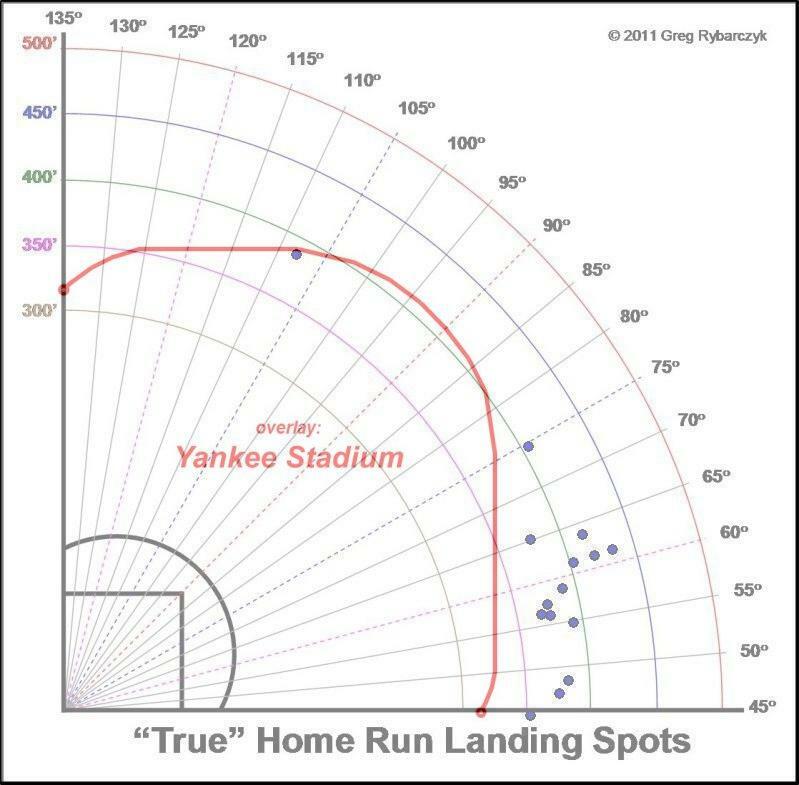 Speaking of which, Dellin Betances was out of this world good last year. His same age numbers are strikingly similar to his mentor Mariano Rivera, just saying. Definitely taking Gregory Polanco over Wil Myers here. I am very interested to see what Rusney Castillo can do, he will have a better year than fellow Cuban import Yasmany Tomas. Book it. Remember when everyone was so excited by Pablo Sandoval going to Boston? That leaves him as the 12th third baseman selected and while his average and numbers will see a bump, how much will they improve? It seems that people are frightened off by Tanaka’s elbow, and I agree. But if he pitches 20 or more games in this round, he is worth it. Chris Carter hits home runs, takes walks and will not hit much better than .250 but if he can mash 35 long balls, who cares? Why am I not taking Pablo Sandoval in the 12th? Because I can get Manny Machado in the 13th, at least in this top 200. This is a cornucopia of value. Adam LaRoche can hit 30 home runs if he adjusts to DH in Chicago but he will be hitting after Jose Abreu and ahead of Avisail Garcia in a bandbox. Shin-Soo Choo was a consensus top 20 outfielder preseason last year, how soon we forget. Another post hype prospect is Xander Bogaerts who could provide pop at shortstop and flourish this year after some consolidation in 2014. Some outfielders with speed in Brett Gardner, Leonys Martin and Alex Rios come off the board here. Always underrated Howie Kendrick and Justin Morneau, too. I think Hector Rondon is great value this late, he really blossomed in the second half. Jason Motte is a depth signing but Joe Maddon does change closers more than most which can be a worry. Want to know why I am waiting on pitchers? Look no further. 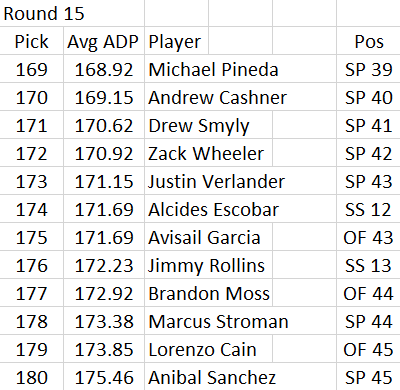 Drew Smyly and Zack Wheeler could provide good ratios and strikeouts in round 14. Not to mention Marcus Stroman who could break out this year. His 2014 was not a fluke and with a better defense he is primed to shine in 2015. Avisail Garcia is another target I really like here, the White Sox are going to score runs and he may hit fifth with double-digit home runs and stolen bases. I have yet to give up on Wilson Ramos and I will be lighting a candle for his health. 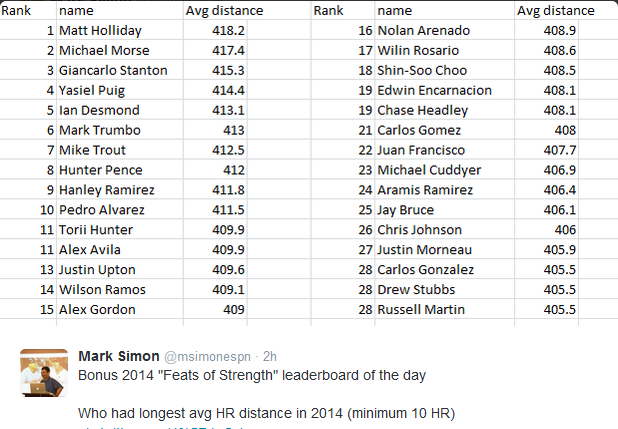 If anyone this year can follow Devin Mesoraco’s power breakthrough of 2014, it is Ramos in 2015. Melky Cabrera will produce in Chicago and could bat second. Speaking of health, Travis d’Arnaud is another catcher with upside if he can stay on the field. How can you take Matt Shoemaker over Phil Hughes? His K/BB in the second half was epic and though his wins are neutralized a bit in Minnesota, he is being overlooked. Mike Fiers will also be a popular sleeper target but look at Jose Fernandez. It seems the Marlins are all in and if he can return by July, a half season of Fernandez is better than a whole one from other pitchers. At this point, I would take A.J. Pollock over Josh Hamilton and that is really all you need to know about that. 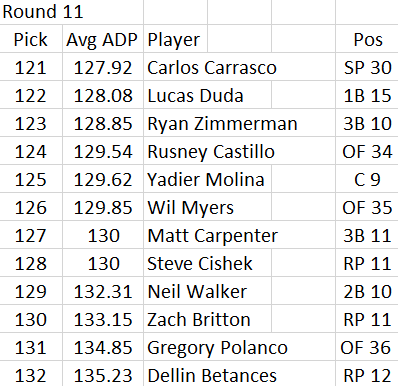 Tomorrow I will list the players by position and try to formulate a set of tiers based on this early 200 courtesy of Greg Ambrosius of the NFBC. Drafts are coming, I may be crazy, but using all the information we can will help us be right. Source says the Padres have been pursuing Brandon Maurer for about a year. Some think he could still return to starting. 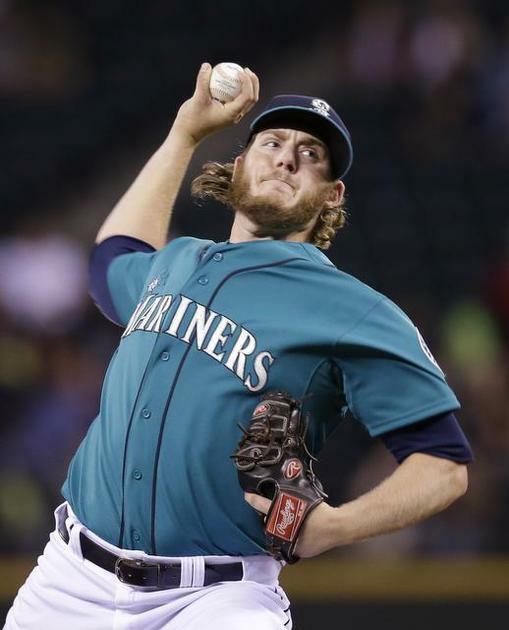 Sometimes you have to be a bit unpopular to make a good baseball decision and while some of Seattle’s decisions of the past can be questioned, I think this one makes sense. Smith and Ruggiano could be a very good platoon in right field. Now the Mariners must address a backup first baseman unless one of the above is going to learn the position. Also, the Mariners still have the opportunity to deal one of their young shortstops (Brad Miller or Chris Taylor) as the signing of Asdrubel Cabrera to Tampa Bay signals they are going to move either Ben Zobrist or Yunel Escobar. Timing is everything. New Padres pitcher Brandon Maurer had highest spin rate on curve. http://t.co/dprbgJguLl Colin McHugh was sixth. Astros targeted him for CB. If Maurer’s curveball effectiveness can catch up to his changeup, then he can certainly make the jump to the Padres rotation with success. Much will depend upon his spring and what happens with the Padres as they continue to evolve under the leadership of their new GM. Can Semien carry his gains from the second half to a full season in Oakland? Picking out sleepers seemed so simple years ago. All you had to do was look into the stats. Now, there is an almost-unlimited supply of literature surrounding the fantasy game. To go further, social media has really changed the game. Everyone’s thoughts, discoveries and opinions are floating around on the web. Really, what is a sleeper anymore? Advanced metrics and projections paint a picture but throwing the correct dart takes some analysis and some luck. 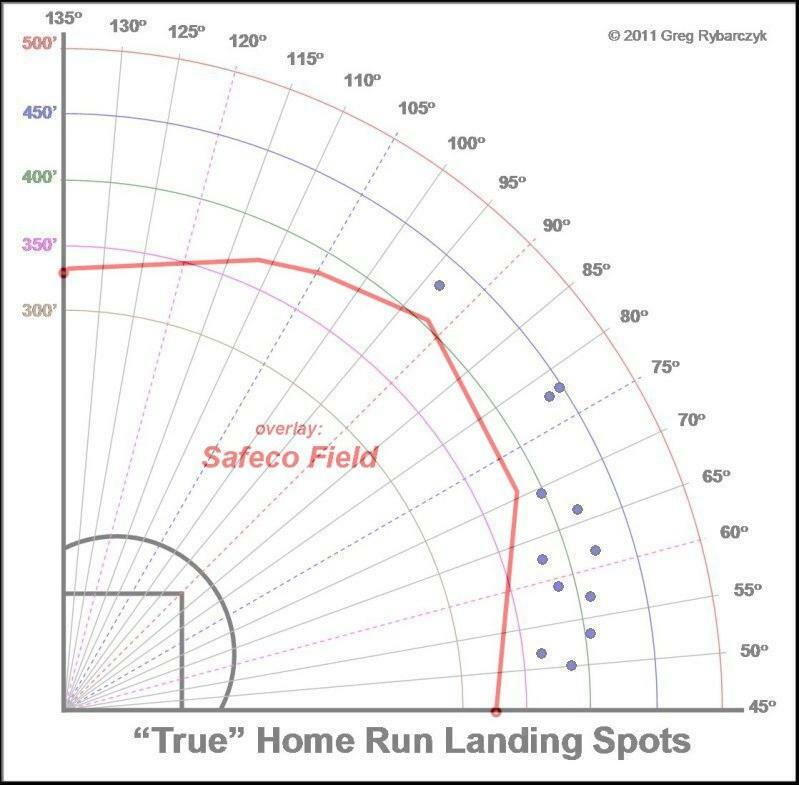 I was much too high on Brad Miller last year (Editor’s note: hindsight is 20/20, Greg! ), and it did burn me, not only in my own fantasy leagues but with my readers as well. I also took a flier on Semien in a couple of leagues. Both of them tanked in 2014 and while this article is focused on Semien, I think Miller is a post-hype buy for 2015 as well. Why you ask? I have been working on projections, which is a tiring and difficult process that requires number consumption and formulating a range of outcomes for various players. First, a player needs opportunity. 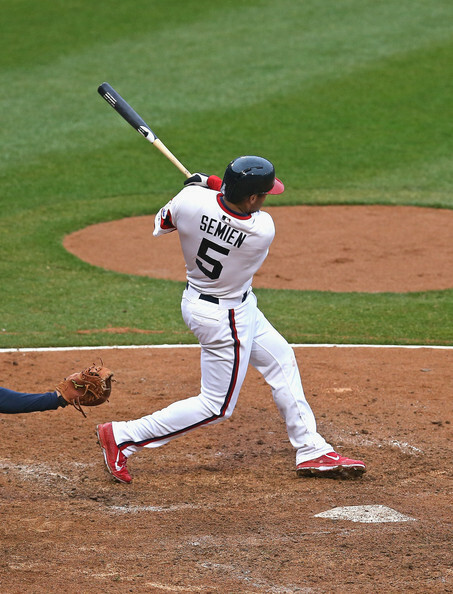 With the trade to Oakland, Semien is the obvious candidate to start at short. Check. Semien was a popular sleeper last year that disappointed fantasy owners which could depress his value entering 2015. Check. 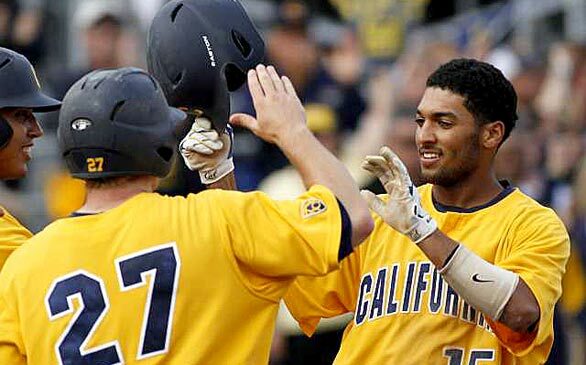 He could finally blossom into the interesting blend of speed and power in Oakland with guaranteed playing time. If he can hold on to the gains from his small sample size in the second half last year, he may become the sleeper we are looking for. A year early maybe, but better late than never. Check. Before getting to deep into Semien himself, let’s paint the picture of a league average shortstop. According to Fangraphs’ 2014 major league position page, the average shortstop had a slash line of .251/.303/.363, a 6.7 HR/FB%, a wRC+ of 87 and a BABIP of .295. While the numbers seem sort of generic, they do tell a story. Without picking on a player, the closest comparison I found was Jordy Mercer. His 2014 statistics featured a .255/.305/.387 slash line, an 8.9 HR/FB%, a wRC+ of 91 and a BABIP of .285. 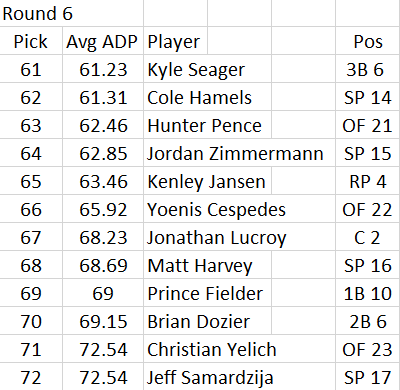 But no one goes into a draft hoping for Jordy Mercer, I have to be honest. While his 12 home runs, 55 RBI and 4 stolen bases were nice to those desperate to replace a Troy Tulowitzki after his inevitable injuries, he was nothing to brag about. wRC+ refers to weighted runs created, which his nice because it takes out ballpark effects for a measurement of a player’s value. 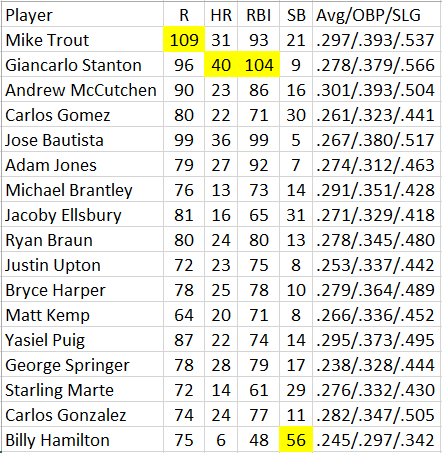 According to Fangraphs, if you want a rate statistic for hitters that weights each offensive action and controls for league and park effects, wRC+ is for you. 100 is league average. 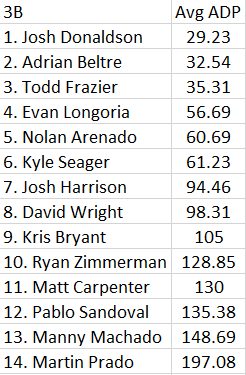 There were 9 shortstops who were able to produce a wRC+ over 100 in 2014 with qualified at bats. Remember that when I get to Semien’s advanced metrics forecast. Changes in scenery and opportunity can create fantasy goodness. Semien is returning to California with the chance to be a starting shortstop in the major leagues. Unlike Brad Miller, Semien was able to go to the minor leagues and refine his game before getting another shot to play in the majors and has a clearer path to playing time. 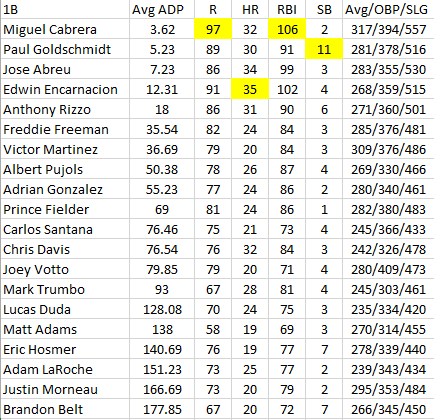 While his numbers may resemble Asdrubel Cabrera’s 2014, his ceiling could be more than the projections indicate. I am willing to pay for 15 home runs and 12 steals if Semien can hit .240 or better. That holds great value at a position where only five others were able to accomplish that feat in 2014. With the lack of offense presently in Oakland, he may even be able to steal more than the projections are saying which provides more appeal for Semien moving forward. Semien won’t be a fantasy star, but he is a player with the opportunity to be a staple at a position where average numbers are common. Whether or not Semien can fulfill my projection will remain to be seen, but a guy can dream. 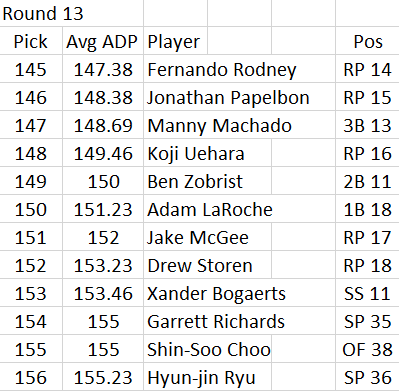 When looking for late round pitchers with upside a nice perk is power. It is apparent that baseball has been trending towards pitching so it will be discussed about how to script a draft and fill our rosters as the season approaches. 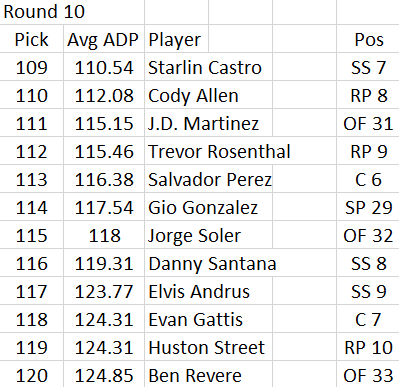 Some like to hoard aces early and fill out offense later, while others ignore pitchers early in drafts stocking up on offense. Given the volatility and availability of pitchers during a season, I prefer offense early and find high upside pitchers to add later on. One of the components that is appealing to me from a pitching perspective is power. Carlos Martinez has a 1.56 ERA and 22/0 K/BB through 17 1/3 innings (four starts) in the Dominican Winter League. What will determine Martinez’s potential breakout as a starting pitcher is dependent upon not only his ability to strike batters out but keeping them off base. Although his WHIP over the last two seasons has been 1.41, Steamer projects his WHIP at 1.3 and ZiPS has it at 1.31. The last factor that intrigues me is that Martinez had a gaudy 1.88 GB/FB ratio in 2014. Fewer line drives, more strikeouts and a career 51.5 GB% make Martinez a pitcher to target. Being on a winning team and throwing to a respected catcher and game caller like Yadier Molina only enhances that. 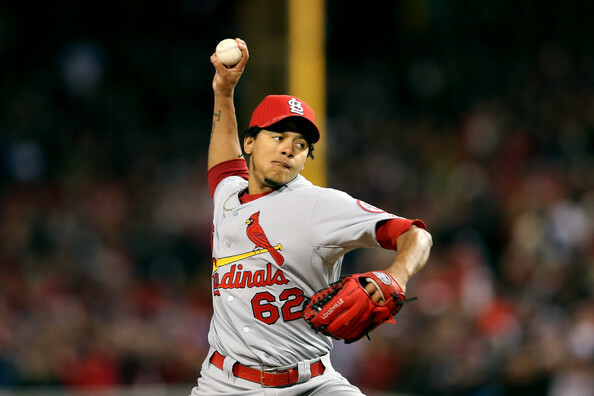 If the Cardinals do name him the fifth starter, I could see a 12 win season with 150+ strikeouts in 2015. Power pitchers who generate groundballs are players I like to target, if that isn’t persuasive rhetoric for Carlos Martinez, I am not sure what is. I started playing fantasy baseball 6 years ago. The first league I played in was crazy, 16 different categories in a head-to-head format with 11 other guys. I was in over my head. I wound up finishing in the middle of the pack, but decided that if I wanted to continue to play that I would have to tone it back and learn the basics. I felt like I was trying to jump off the high dive before I even knew how to swim. Over the next couple of years I played in more simplified leagues, which included 10 categories (hits, HR, stolen bases, batting average, RBI, wins, strikeouts, saves, ERA, WHIP). We had 10 different guys in that league and it was a blast. I finally got the concept of how the game was played. The format was weekly, so you set your lineup on Monday and not again until the following week. This is nice for people who work full time, and while at the time I was in high school, many of the other people I played with did not have as much time to spend on it daily. The other interesting thing about that league was that it was an auction league. For those who do not know, auction leagues are set up in such a way that each player is bid on during the draft, and the players are auctioned off. Some owners are aggressive and bid right away, others sit back and grab a ton of above average guys and maybe only have one superstar on their team. Auction leagues give owners a lot of say in who is on their team unlike snake drafts where you might not have the chance at specific players based on your draft order. For me, the first few years of fantasy baseball were just something to do while I waited for fantasy football to start back up again. I set my lineup on Monday and would check it daily but couldn’t make any changes. I liked the idea of being able to make daily changes and so I asked some buddies who I played fantasy football with if they would want to play fantasy baseball. 10 guys were in and we started creating what the league should look like. We came up with our categories and decided that we all had time to look enough to make daily changes. Once I started playing in leagues where you could make those daily changes, I was hooked. For those who know me or have read anything I have written since I started at The Sports Script, you know how much I love fantasy football. I watch every Thursday night game unless something more important keeps me away. Sundays afternoons are usually spent in my basement (I wrote about my sweet setup here). Sunday nights are spent on the treadmill at the gym, where I strategize about what I need to have happen in the Sunday night and Monday night games. On Monday nights I am usually back on the bike to watch the first half before rushing home to catch the second half at my house. While I realized this year that maybe 7 leagues is a few too many, I still had a blast not only writing about fantasy football, but playing it as well. I love the rivalries with friends, I love the trophies and stories you hear on about on Twitter and I love the fact that millions from age 8 to 80 play the game. There are hundreds of different formats and everyone has a favorite player (or least favorite player) based on how they won (or lost) you a fantasy championship over the years. Mine is Matthew Stafford, if you want the story you will have to ask me about it on Twitter. It is one of my favorite stories to tell, even though it ended in tears of sadness and happiness all at the same time. So after all this, how can I tell you that while I like fantasy football, I love fantasy baseball? Baseball is truly amazing, and I think that is why the fantasy game is so great. Football gets the ratings, football gets the hype, football rules all other sports when it comes to North American popularity, but football still doesn’t have that simple feel that baseball fans have come to love. Football has so many rules and penalties and changing of players between offense and defense. Have you ever tried to explain football to someone who has never seen the game before? I would rather take Organic Chemistry. Baseball is as simple as you want it to be. 9 positions and 9 hitters per team. The majority of the batters also play out in the field and when they get three outs they get to come to bat. Explaining baseball to someone who hasn’t seen it before is easier than grabbing a second plate of food at a buffet. 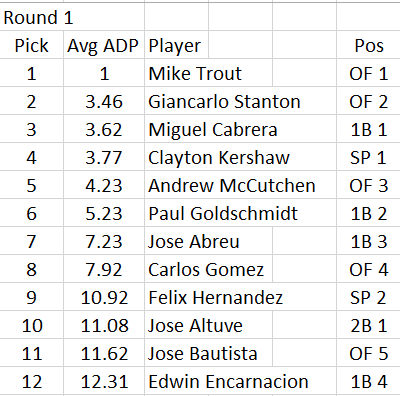 For those who do not want simplicity, baseball has some of the most advanced stats in any sport that can have you wandering around Baseball Reference for hours. They have stats for a batter’s average when they hit the ball hard. They have a rate to see how often pitchers give up groundballs relative to fly balls. How many times did the pitcher throw a change up on a 0-2 count in the last 30 days? I am sure all you have to do is a little research and you can find pretty much any stat you want on any player. The game can be simple, but it can be advanced and that brings in an audience that is very diverse. Fantasy baseball reaches those same people by how advanced leagues are. Your league can have 5 categories or 20. Your league can have 4 teams or 25. You can hold a classic snake draft or an auction. You can use keepers from year to year, or you can make each season a new adventure. While you might look at this list and say that fantasy football provides the same array of differences, the best thing about baseball is how many games there are. The baseball season is long. Longer than most of Kim Kardashian’s marriages, longer than a foot-long hotdog at the ballpark and longer than any other major professional sport. The NHL and NBA each play 82 games and the NFL plays 16 games during their respective regular seasons. For many, 162 games is the reason they don’t play fantasy baseball. Too many games or too long of a season are excuses I have heard for many who have denied my invitations over the years. For some, their love of baseball is trumped by the commitment needed over the course of an entire season. Those individuals may like the weekly game I mentioned earlier. Owners can check it once a day or once a week and the outcome won’t be different because changes cannot be made once the lineup is locked. For me, the reason I love fantasy baseball is because there are so many games. There are few days between April and August where you will not find live baseball on your television. There are games on when you are at work and days on when you get back home. Your home team might play on a Thursday afternoon and then again Friday, Saturday and Sunday night. Sometimes if you are lucky, your favorite team or players might play twice in one day! You might come home and see that David Wright just hit for the cycle or that Phil Hughes just threw a gem while you were finishing up at the office. Baseball doesn’t take breaks and either do daily fake baseball leagues. Every day you can make moves whether you want to add a hot bat off the waiver wire or pick up a pitcher who is starting. Take this quick example about fantasy football and how great teams might not make the playoffs. I know you probably don’t care about my team, but hear me out. Week 16 concluded one of my leagues and so I went and looked at the team that I thought was best. My team (at least to me) was stacked. It was headlined by Russell Wilson (QB3), DeMarco Murray (RB1), Le’Veon Bell (RB2), AJ Green (WR21), Julian Edelman (WR17) and Martellus Bennett (TE5). Keep in mind, this is a 10 team league. My final record? 4-9. 4 and 9! Many times in fantasy football, the team with the best roster does not win. Sometimes they don’t even make the playoffs. Maybe your quarterback has just one bad game in the playoffs and your undefeated team might be out of the running for the championship. I see this a lot less in fantasy baseball, regardless on if you play in weekly leagues or daily leagues. The best overall team over the course of the season usually finds themselves in the playoffs and fighting for a championship (Editor’s note: It’s the sample size, man!). You can build your team around pitching or you can build your team around hitting or you can try to balance them out. Roto has been around forever though, which allows all the teams in the league to compete against one another over the course of the entire season, thus eliminating much of the luck. There’s a good chance some football leagues begin to move this way in the very near future. For those who read this article and have read my Weekly Stream column every week, thank you for your continued devotion to my writing. Do not look at this article as a bash on fantasy football because obviously I still have a love for it. What readers should take away from this article is that there are other fantasy sports out there and baseball is one that can not only keep you occupied during the football offseason but also give you a completely different outlook at how you can play fantasy sports. Playing fantasy baseball and playing football are completely different but both provide entertainment, which is the main reason that we play fantasy in the first place. For newcomers to the game of fantasy baseball, look for an article from me in the next couple of weeks about websites to help you get started with your league. I will also include some stud Twitter follows, and maybe a couple of basic vocabulary words to get you going. Look for continued articles from all of us at TSS. We had some great articles covering the Winter Meetings and will be providing more content as we move on from football. As always thanks for continuing to read and for the good words on social media. Happy New Year! We’ll see you in 2015. Jared “Minnesota Nice” Hines is a fantasy football contributor at The Sports Script. Follow him on Twitter @Jared_Hines27! Headley enjoyed his stint in NY so much he took less to stay. It seems strange to be breaking down New York’s offseason moves to this point without commenting on a free agent that they overspent on. Well, with the exception of Chase Headley. However, he may have left money on the table to sign with New York. Wait, what? 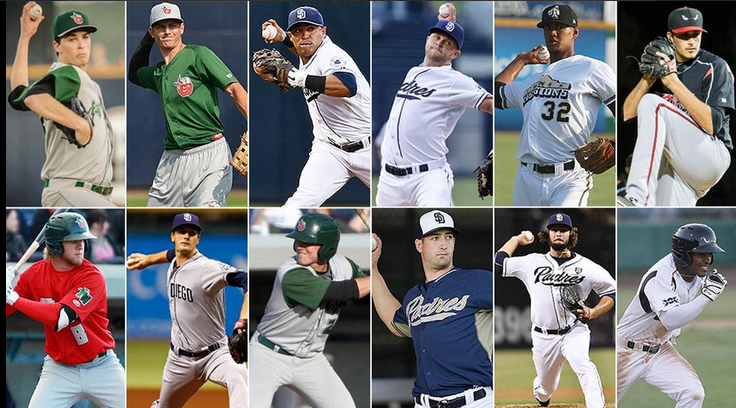 In flurry of moves during the Winter Meetings, teams like San Diego, Los Angeles and Miami were wheeling and dealing. Within the division, Toronto has strengthened their team defense and lineup by signing Russell Martin and trading for Josh Donaldson. The Red Sox have been busy hoarding number three starters to go along with the signings of Hanley Ramirez and Pablo Sandoval. Tampa is being Tampa and making under the radar deals and stockpiling arms. The biggest news in Baltimore is that Chris Davis can (legally) take Adderall this year. Phew! Oh yeah, one last thing. The black cloud that is Alex Rodriguez is hanging over the 2015 Yankees. Brian Cashman is trying to look to the future and shed some of the mistakes of contract’s past. Now that the Derek Jeter retirement tour has ended and the “Core Four” have all retired, the time has come to try and rebuild on the fly. A total reclamation project is not in the offing for a franchise that prides itself with headlines, winning and most importantly, championships. But one of the reasons they have been quiet this winter is because the cupboard is kind of bare on the farm. Because the Yankees are devoid of the prospects that other teams desire, they have taken a new course. I was surprised about the backlash on Twitter from Yankee fans after they traded Martin Prado and David Phelps to Miami for Nathan Eovaldi, Garrett Jones and prospect Domingo German. Prado is nice and all but his ceiling is limited and pitchers who repeatedly throw 95 MPH do not fall off trees. Adding the Marlins number 8 prospect in German was great as well. He is not overpowering but throws strikes. So what have the Yankees done this winter? This will be Didi’s third team in the last three years. Replacing Derek Jeter is a tall order on its own, starting in New York as a platoon player at best whose best quality is defense, may be too tough for Gregorius to handle. In the 81 games Steamer projects out of him, he’ll produce 34 runs, 6 home runs, 32 RBI and 2 stolen bases while hitting .248/.310/.366. That does not look great but in comparison to Derek Jeter’s 2014 of 145 games, 47 runs, 4 home runs, 50 RBI, 10 stolen bases and .256/.304/.313 it doesn’t look so bad. I think Yankee fans are smarter than people give them credit for (Editor’s note: Greg is a Yankees fan). Gregorius may not light it up in fantasy, but if he saves runs for their patchwork pitching staff then he will be worth his spot in the platoon. While Headley had supporting stats to say an increase in power is due to happen, Jones will have to rely on the short porch in right field for a power jump. But Jones averages a home run every 21.9 at bats against right-handed pitching for his career so if he can garner 450 at bats with the Yankees his career numbers dictate that he could hit 21 home runs at his peak. Using Jones’ Steamer projection of 81 games, he’s due to produce 41 runs, 14 home runs, 45 RBI and a .250/.311/.448 slash line. 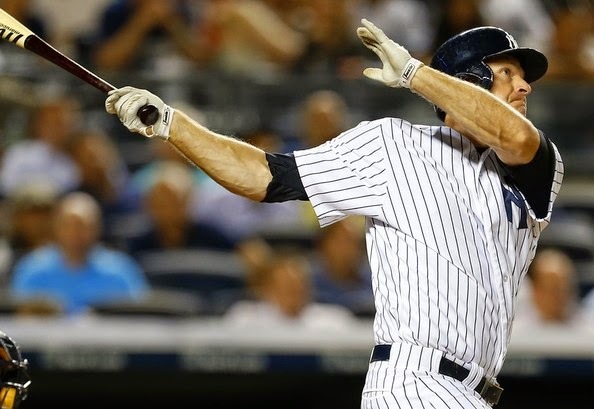 Jones’ value will be determined not only by how he is used but by how many at bats he gets. He is a sneaky cheap power play in AL-only leagues. Even though I think Refsnyder is the best for second base in the long run it may take him until June to win the job. But once he is there it may be his for some time which would make Yankee fans happy to see players come through the system again. If there’s anyone that could be Garret Richards, it’s Nate Eovaldi. Both have 96+ mph gas, good sliders, good curves, bad changes. Eovaldi has thrown 300 changeups and they’re awful. Just turf it. Throw slider more, curve more, 96 will then look like 100+. There are reports that Eovaldi is working on a split finger fastball this offseason, so it will remain to be seen what he can do in a ballpark like Yankee Stadium. But with his velocity and youth, it is a risk worth taking for the Yankees. The other piece in the Marlins trade was pitcher Domingo German who was the eighth rated Marlins prospect and immediately jumped one spot in the Yankee ranking to number 7 after the trade. German is a very good young pitcher who struck out 113 in 2014 against only 25 walks. His fastball is reported to be in the low 90’s with an average changeup and a developing slider. In his first full season in class A, German had a tidy 2.48 ERA. His fastball does have sink which is a plus as teams are looking for power pitchers who generate groundballs. I have already written up Andrew Miller here and how he provides insurance in the bullpen as the Dellin Betances era may begin in New York. Having been fortunate enough to get him in the reserve draft in my AL-only league next year I look forward to Betances transitioning in to take over at closer for his mentor and hero Mariano Rivera. It will be interesting to see if the Yankees can stay the course and hold on to their prospects like Luis Severino, a live-armed righty who throws an easy fastball and allow AFL star Aaron Judge to develop instead of flipping him for an aging veteran. The times are changing in New York and I am curious to see how Brian Cashman sheds contracts before trying to make a splash in the 2016 free agent class. These are not the Yankees of years past, at least at the moment. Transaction Scripts: Kemp, Upton, Norris, Myers oh my! Before I dive into the new players that the Padres have added, I will take a moment to see what they traded away. First, here is a list of the prospects in order of status according to MLB.com’s Jonathan Mayo: Max Fried, Trea Turner, Jace Peterson, Jesse Hahn, Joe Ross, Zach Eflin, Dustin Peterson, Jake Bauers, Burch Smith, Joe Wieland, R.J. Alvarez and Mallex Smith. That is six starting pitchers, one future closer, a first baseman, a second baseman, a shortstop, a third baseman and an outfielder who stole 88 bases in the minors last year. No pear tree, but what a turnover. One of the main points here is that although Preller has dealt these youngsters, they are not his prospects. It is evident that Preller is looking to put his fingerprints on the Padre franchise and this is quite a start. Some have mused that the prospects dealt were more quantity than quality. That remains to be seen, but more importantly, why did Preller make such a push for power? Key in on the bottom inside third of the strike zone in which Kemp slugged 1.205 last year, Upton .641 and Norris .611. While Wil Myers did not handle this pitch well, he did slug .592 on pitches in the middle lower third. 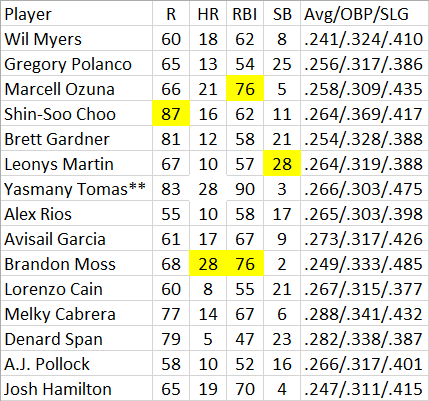 With the knowledge that only a few home runs would be lost due to the ballpark effect from the previous tweet, it will be interesting to see if each player can maintain his two-year averages in San Diego. 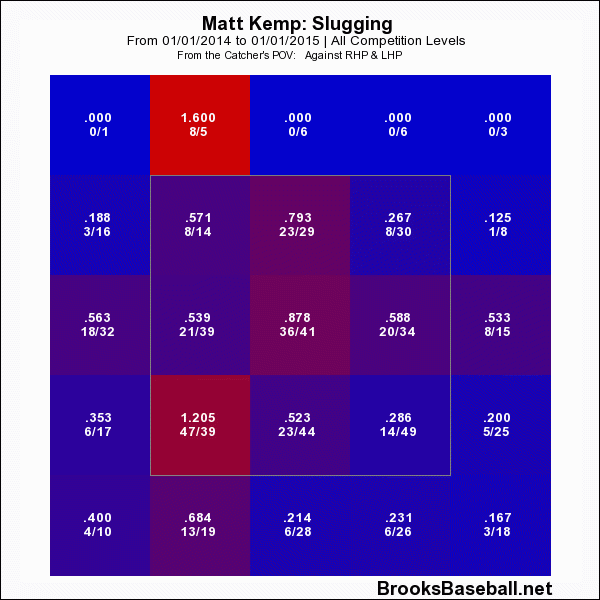 I charted this below using 2012 and 2014 for Kemp’s statistics but all the other players listed reflect their last two years. 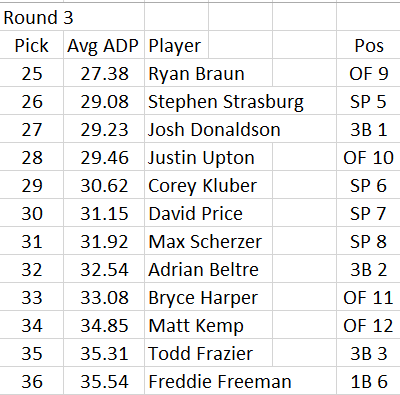 Along with that, I included each player’s Steamer and ZiPS projections (thanks Fangraphs). There is no ZiPS projection yet for Kemp. 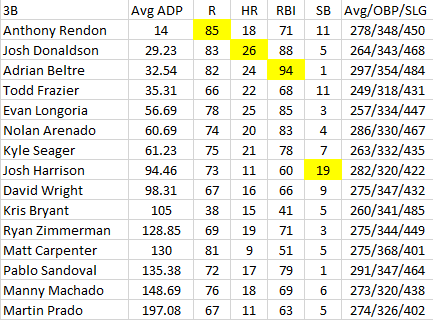 With the exception of Myers, the HR/FB%, wOBA and wRC+ seem very stable on the other three. There are no major variances in the swinging strike rates, either. It would appear that the only wild card in here is Myers, who not only needs to adjust to the National League, but possibly to playing center field as well. It will be a very interesting year for Myers since his power was never really questioned as a prospect but his ability to hit for average was. His two-year slash line of .258/.324/.400 is probably a good one to use as a projection for what he’ll do in 2015. 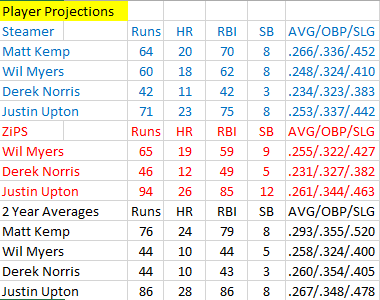 I also think that Upton and Kemp can maintain their two-year averages. Norris may benefit from more playing time if he can stay healthy and move into the lower tier of number one catchers, but he profiles better as a strong number two for fantasy purposes. Preller has moved some of his chips into the middle to play for this season and still has control of many of these players until 2019. 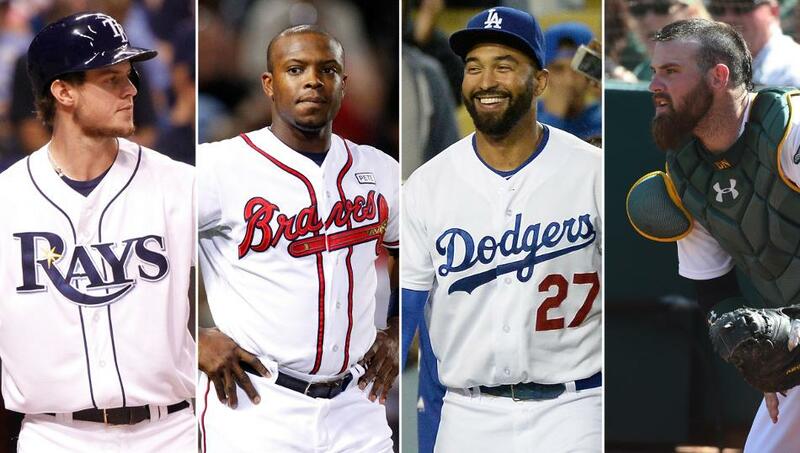 Can Myers, Upton, Kemp and Norris form a core-four in San Diego? Kemp has called A.J. Preller a rock star among general managers and his first concert in 2015 will be fun to watch. It remains to be seen if he can add one more starting pitcher to this team. One thing is for certain though, this lineup will be much deeper and more powerful than in years past. Not only that, but there are possible platoons around the diamond with Will Middlebrooks and Yangervis Solarte at third. At first base, the Padres can use Tommy Medica against left-handed pitching and Yonder Alonso against righties. Also, they can use Alexi Amarista and Clint Barmes at shortstop with Amarista being an emergency option in the outfield as well. Things are not perfect with the lineup but with the defection of Pablo Sandoval and Mike Morse from San Francisco and the rudderless movement of Colorado, the Padres have positioned themselves for a run at the Wild Card. That is all you need in October, a chance. While I do not think that Preller is finished, I like what he has done to address team needs so far.